We are the number 1 coach hire company based in Birmingham with an extensive range of standard, executive and luxury class coaches available to hire. Ranging from 4 seat capacity to 62 seats, we are able to accommodate groups of any size with our coach hire Birmingham service. 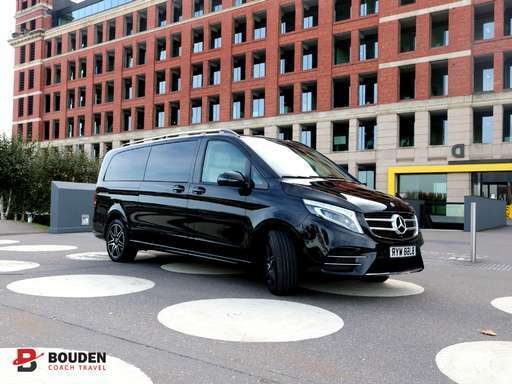 We have been able to coordinate groups ranging from 10 passengers to 2,000 passengers, whether it’s a simple airport transfer, a school trip, a wedding day or carrying corporate VIP’s in our luxury class vehicles we have the experience needed to carry out all your transport needs. All of our vehicles are driven by smart, professional and fully qualified coach hire drivers. Our coach drivers are the face of Bouden Coach Travel so we have made sure we employ only the best drivers in the coach hire industry. They are trained to a very high level of customer service, knowledge of the vehicles and the roads. Call us now on 0800 112 3770 for an instant quote for your coach hire requirements. We specialise in coach hire for many different purposes including corporate event coach hire, school trip coach hire, sports team coach hire, event coach hire, university coach hire, day trip coach hire, charity event coach hire, disaster recovery coach hire, personnel movement coach hire and much more. For more complex bookings a member of our team would be more than happy to go through your requirements. Call a member of our team today to discuss your coach hire needs. CLICK HERE to enquire with your coach hire requirements via our online form. You can also call us on 0800 112 3770 for more information on our coach hire with a driver service.